Aaron Neuwirth reviews Arctic, a survival drama featuring Mads Mikkelsen as a man challenged by snow, wind, and bears - oh my! Arctic is the kind of film that taps right into a sweet spot for me. I enjoy movies that place humans against the elements, particularly survival dramas, which this film is. There’s also a lot for me to latch onto with films that feature process. Given the minimalistic nature of Arctic, we see a lot of efforts to keep things involving by understanding how one man conducts himself in an extreme situation. 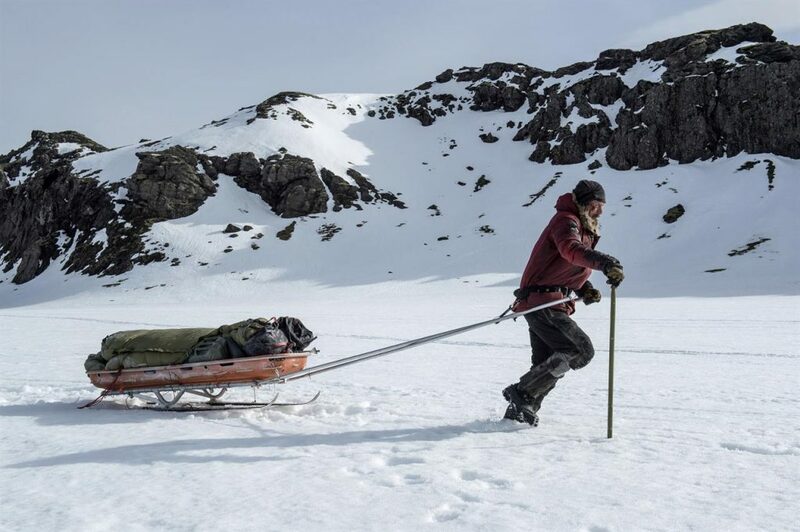 Add to it the presence of snow, wind, and bears (oh my), and you have an intense survival story held together by both filmmaking and the usual terrific presence of Mads Mikkelsen. 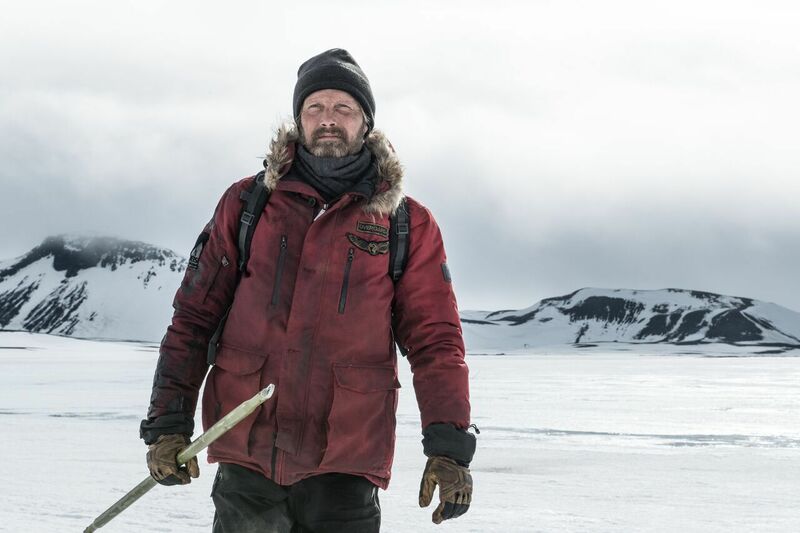 Mikkelsen stars as a man stranded in the Arctic, following a plane crash. There’s no setup here, as the film opens with the unnamed man having already established a small camp, as he works to survive until possible rescue arrives. Upon having the chance to be rescued, weather (or fate) intervenes, leaving the man with a difficult decision. Will he remain in the relative safety of his camp or make the trek towards possible salvation? Writer/director Joe Penna and co-writer Ryan Morrison do not make it easy for Mikkelsen. Even as the film guides the audience along with a relative awareness for how some of the events that transpire will go, there’s an effective level of suspense and drama in the moment. Arctic becomes effective enough for the viewer to stop being concerned as to what will happen, but how it happens, which is essential. There are many survival thrillers out there, and there’s not a lot of new angles to take on the resolution of these stories. 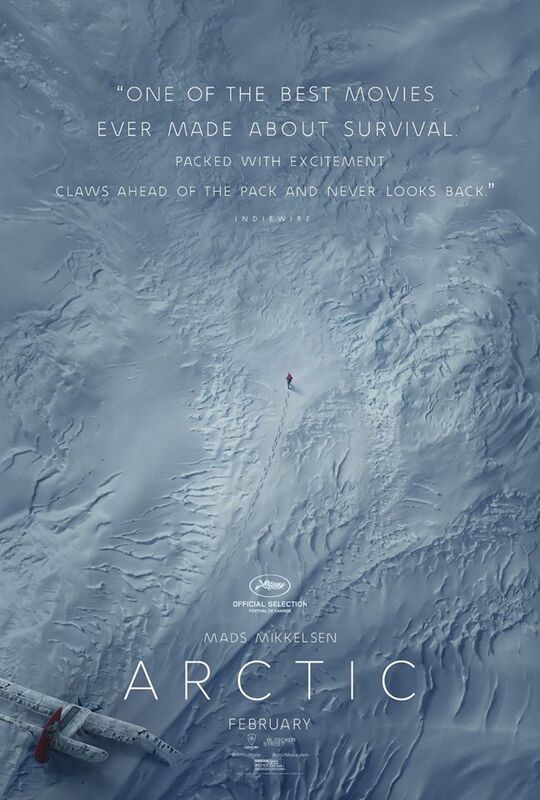 Arctic makes you feel the decisions that Mikkelsen’s character has to make. Part of what makes that compelling is the use of process. It’s one thing to see Mikkelsen eat a fish or travel around certain areas, but the film shows us how he catches and prepares the fish, or what is needed for him to move. With such stark landscapes and no other active characters, let alone much dialogue, it’s these useful and very human actions that become compelling to watch. We wonder how we’d survive in the same scenario, and the film doesn’t insult us by stretching plausibility. Instead, we see a man just intelligent enough to make do with the limited amount of materials he has, but not above making a mistake or reacting to unexpected changes to his plans. This is where the talents of someone like Mikkelsen comes in. With the film not holding our hand to explain exactly who this man is and where he comes from, the Danish performer uses all his acting tools to make what is essentially a one person show inform us of what is needed. His attitude, physicality, and expressions are criticalhere. Whether he’s happy with certain developments or frustrated, we see what we need in his face and the few lines of dialogue he has. Mikkelsen has said this film was the most challenging shoot of his career, and that’s quite understandable. It would take a lot to place yourself in a mental space of someone isolated, fearing for their life, being constructive, and dealing with the elements on a daily basis. Speaking of which, this movie looks fantastic. Using Iceland as the shooting location, cinematographer Tomas Orn Tomasson does a tremendous job of adding many layers to the look of the arctic weather. We see why this harsh environment is a threat in many ways, but can also find beauty in the distant snowy vistas, as Mikkelsen makes various treks through this icy desert. This is the kind of film where the minimalist approach speaks to how vital production and costume design is, keeping a character from blending in with a movie where the primary colors are various shades of white. To comment on the story, it’s not as though a film like this can function as an in-depth character study based around more than what we are given. Similar to something like All is Lost with Robert Redford, one can look at this film with thoughts over what else it is trying to say. Is this adversity coming as a result of something? Does Mikkelsen’s character deserve this sort of challenge, or is he being punished? A story of survival inspires a lot of thoughts in those inclined to think of it on more than just a tactile level. Based on what kinds of struggles the man faces throughout this film, I would say there’s a test of faith in something, whether it’s his own will to go on or in a higher power. Whatever the case, I was always engaged by what this film had to offer, as my concern was quite high for seeing how the man would overcome these difficulties. Arctic has plenty working in its favor. With a tight runtime, the film doesn’t waste any more time than it has to in setting the stakes and having us follow the journey of this character. The movie looks great, and Mikkelsen is certainly giving his all to what seems like a hard film to make. 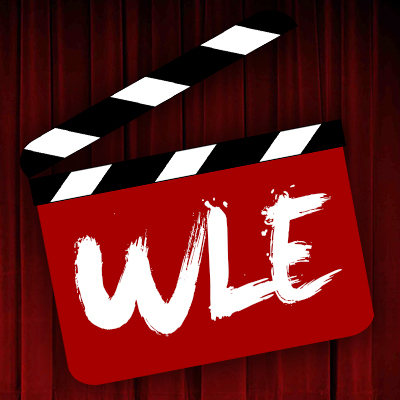 Filmmaking-wise, there’s a lot to admire about how this film looks, how we view the actions taking place, and what is deemed necessary from a process standpoint. This is a survival story that makes the trek worth it.